the canDIshhh tales: Toy Kingdom Warehouse SALE!! 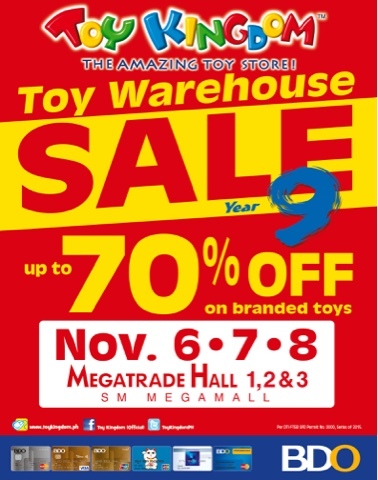 Toy Kingdom is having a warehouse SALE this weekend!! And its happening at the Megatrade Hall on November 6,7 and 8!! Hurry and do your Christmas shopping early!! Enjoy up to 70% OFF on branded toys.